Difficulty Modes and Unlocking Story Content — It's a contentious topic in the gaming industry about how much of a reward game designers should give to players who complete the game on lower-difficulty modes. Ludwig gives his thoughts. The Origins of Daylight Savings Time: Mario's Time Machine — The story of how Mario invaded Bowser's Castle, took our time machine, and inspired Benjamin Franklin to think of Daylight Savings Time. Splatfest: Would you rather be a KNIGHT or a WIZARD? — Ludwig may have been raised as a wizard, but would he actually have preferred growing up to be a knight? Fortnite EULA Update: You Don't Need an Ace Attorney to Understand It — A strange thousands-strong swarm of Fortnite kids act like Ludwig is a Fortnite legal expert, so he does his best to play the role. Fire Emblem Support System and the Inhumanity of Networking — How the Support System evolved over time in the Fire Emblem, and how it reflects social skills. “Those genre choices are baffling. Don't they at least have a visual novel category? Even if it's not a pure visual novel, it's a lot closer than it is to RPGs or simulations. Good comments that are funny and informative! And Mr. Videre (who is correct, don't you know?) replied to ShinyGirafarig even better than I could have. Oh yeah? Well, snark at THIS! Ha! Hahahahaha! The rest of your names aren't even worth publishing here. Try harder! And then you might be able to achieve first place before end-of-day April 29, and get a $10 eShop code. After taking a half-year break, KoopaTV Feedback Form Part XVII and KoopaTV Quiz Part XVII exist. You can do them right now. And they give generous points that can jump-start a flailing KoopaTV Loyalty Rewards Program attempt. I didn't screw up this month and make a mistake. YAY! For your awareness, if you're new, the Corrections Corner is the part of the newsletter where we publicly display all commenter-provided mistakes pointed out in our articles. The objective is to keep KoopaTV accountable. These corrections are actually rewarded in the KoopaTV Loyalty Rewards Program, so you're encouraged to make sure we're honest! Historically, they've just been typos (not that typos are okay or anything), since we have strong editorial standards and fact-checking. You can depend on KoopaTV! 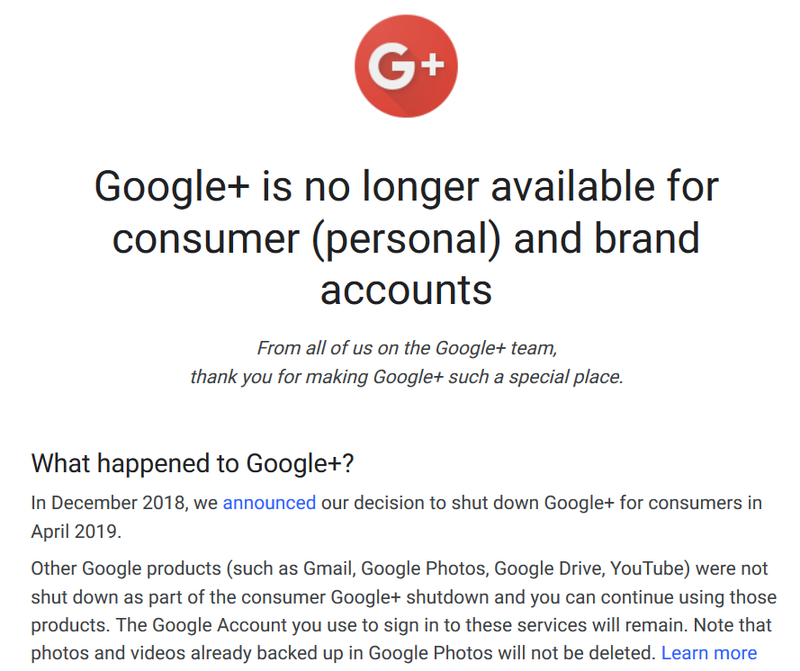 Google+ is Dead; MeWe is Alive! 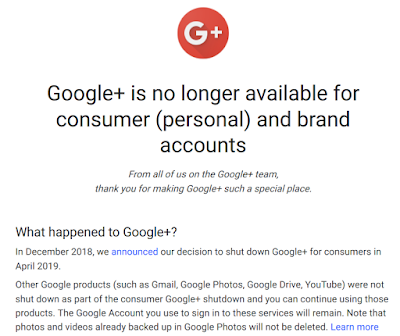 Google+ is no longer accessible. It's gone. Good riddance, quite frankly. in Blogger doesn't have a mini pop-up of a Google+ thing. I CAN DO FEARLESSLY PERFORM ADDITION ON THIS BLOG! Many Google+ users have moved on to a social network called MeWe, which is similar to Google+, but it's all about the users’ privacy—that's actually the opposite of Google+, which was a big data collection scheme. Alright, so, MeWe. Here's my MeWe profile. You'll notice it's under my name and not KoopaTV's. I'm brand-new to it, so I would appreciate some how-to-use-it tips! Including discoverability features. Unlike some of KoopaTV's other social media endeavours, this one isn't plagued with unsavoury people. That's all Ludwig has to say in this newsletter. If there's any more information you'd like to know about the site's ongoing operations, please comment about it! Also, share KoopaTV to people you know. That helps. Don't you want to be helpful? Go ahead and read the February 2019 review newsletter here! Last year's March 2018 newsletter also featured a discontinued social media. Holy smokes, I got one of the best comments this month AND the worst?! I am genuinely honored! XD Seems pretty tame for a worst comment though. I'm not sure if that's a good thing because this site's community is great, or if it's a bad thing because said community is so SMALL that trolls and such don't see it as worth hating on. Our resident troll is busy with school or something. ...That's not a correction (when I say you can do it right now, I wasn't wrong... it's just almost impossible to find), but you pointing that out is greatly appreciated. I thought the comment of me being wrong about the NSO trial period from the Splatoon demo being usable anytime would be the worst. I liked your comments afterwards. Justified it. I will try my best to be more active this month as I have not been participating a lot lately. While I'll probably not come in first, I will at least hopefully make it on the leaderboard this next time.